​a gift to the world"
​ ... to serve you better! We have moved to our new Pepperwood location, 851 Hwy 6 E, Ste 101, Iowa City (former Kmart). Doors opened March 25th. Come explore our new shop and discover the many treasures of Crowded Closet! For over 40 years we've been sharing love and compassion with our neighbors, near and far. Learn how in our NEW video and Come Join Us! In Montero, Bolivia, MCC partner El Comedor de Niños (which has two children’s community centers and whose name translates as The Children’s Dining Room) provides care for children and workshops for adults. Trainings help develop skills in areas like cooking, baking, hairdressing and electricity. The Comedor also provides teaching in nutrition, health and self-esteem, including promoting recipes. 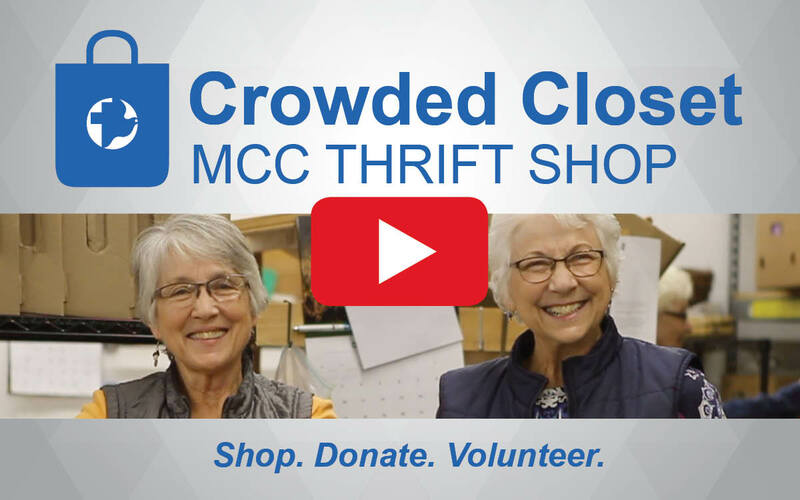 Your purchases at Crowded Closet provide relief through the work of Mennonite Central Committee (MCC). For more information, visit MCC's website.